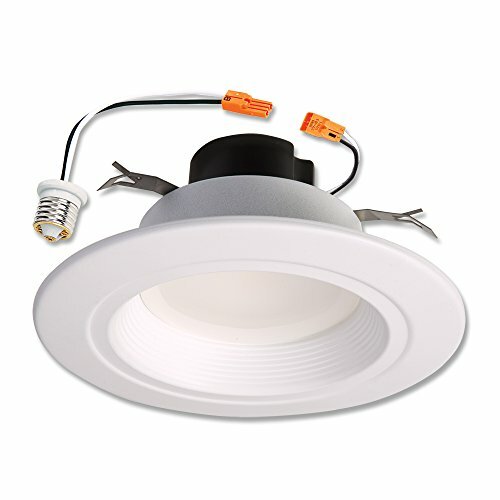 The Halo RL56 Series is a complete LED Baffle-Trim Module for 5 in. and 6 in. aperture recessed downlights. RL56 is designed for use in new construction, remodel and retrofit installation with Halo, All-Pro and other compatible 5 in. and 6 in. housings. The RL56 Series integral LED driver offers 120-Volt dimming capability. The RL56 lens provides uniform illumination and wet location listing. The die-cast construction makes any housing AIR-TITE for added HVAC savings and code compliance.